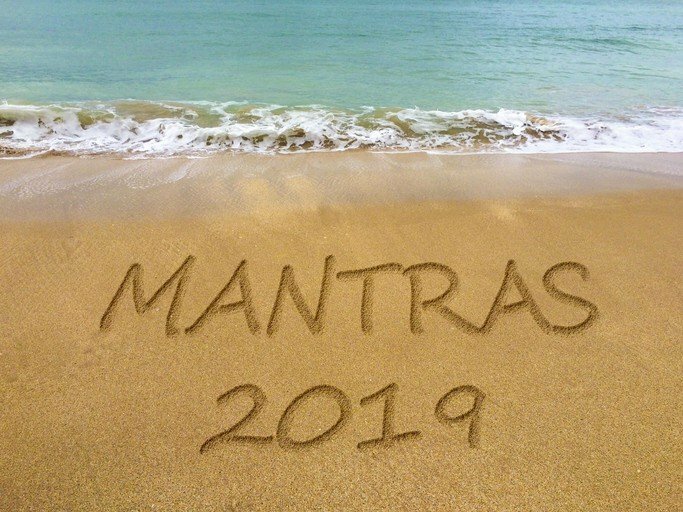 I have been told time and again by my clients that they sometimes hear me inside their head, repeating one of my favorite organizing sayings (I’m going to call them mantras) when they are struggling with an organizing task and I’m not there. I think this is a good thing! I use these organizing mantras to prompt my clients when we are working together. I did not create these sayings – I’m not sure who did. What I do know is that they work! While there are many, many of these that I love and use these are my favorites. When you take something out of its’ home and use it, don’t just leave it where it is. Pick it up and put it away. This is a valuable life skill. Think about it. If you take a screwdriver out of your toolbox, use it in the bathroom to tighten a screw on the towel bar, and then leave the screwdriver in the bathroom. Are you going to remember that the last time you used the screwdriver you left it in the bathroom? Most likely you are not. When you go to your toolbox looking for your screwdriver, you’ll be scratching your head wondering where on earth you could have left it. When you put things back from whence you got them you always know where to find them. Teach your children this valuable skill. Begin with toys and games. When they are finished playing with their toys at the end of the day ask them to pick up and put things back where they belong. You’ll want to help them at first, but they’ll soon get the hang of it. Sorting or categorizing is a learned skill. Grouping your things according to category allows you to see just how much of something you have. You can do this all over your house. Think about your closet. Hang shirts together. You can even group them by long sleeve and then short-sleeve or by color if that works better for you. Think about your pantry. When you put all the canned goods together you can see what you have. This helps you to save money. When you know what you have you don’t buy duplicates of something you already have in your cupboard. You can also involve your children in grouping like objects. There are many household tasks that involve putting like objects together. Ask them to help you empty the cutlery from the dishwasher. They can find all the spoons, forks, and knives and put them together in the cutlery drawer in the kitchen. Children can also help with laundry, matching socks. You get the idea, I’m sure. Is this the best use of my time right now? When you ask yourself this question it prompts you to think about your ‘to-do’ list. I have my clients create a few small lists of tasks divided by the time they require. For example: Things to do if I have 5 minutes, Things to do if I have 30 minutes, and so on. If you have a few simple emails to answer and you have 5 minutes. You can probably knock them off. If you have run the dishwasher and have 5 minutes, you can empty the dishwasher. If you’ve been busy all day and have 5 minutes the best use of your time might be to sit still and take a few deep breaths. It’s important to remember that the best use of your time might be to take care of yourself. When you buy something have in mind what you are removing from your home. This way you are not simply adding stuff. For instance, if you’re buying towels think about which towels will be donated out or taken out of the linen closet and used as towels to dry the dog or the car. Try not to only bring things into your home. When you’re at the store and thinking of making a purchase stop for a moment and ask yourself where you will put it away. Where will this object have a home? Then go back to the other mantra and think about what you will take out to make room for this thing. Sometimes that puts a pause on the need to purchase. When you can’t think of anything to remove from your home or you can’t think of a place to put this new object then it’s time to rethink purchasing it. Of course, as I said before, there are many, many more organizing mantras. Do any of these strike your fancy? Is there one I haven’t mentioned you like better? Write me back and let me know. I’d love to hear from you. Diane N. Quintana CPO, CPO-CD, is the owner of DNQ Solutions, LLC based in Atlanta, Georgia. Diane works with busy families by creating organizing strategies and solutions which fit their individual needs. Do ONE thing – anything. That’s a great one! Thanks for sharing, Alison. I love this, “Don’t Put it Down; Put it Away.” I wish I did this with my kids when they were little. My son naturally picked this up from watching me, but my daughter has not. I think I may start now. She is in her teens. Maybe it will stick. Thank you, Sabrina. Give it a try. Maybe ask her if she’d like to make a vision board with that mantra on it somehow – to remind her. These are all so great, Diane! I use some of these myself. I find myself repeating many of the same phrases with clients. Mantras are often the “tried and true” phrases we have come to have a deep faith in. I think clients appreciate these, and often tell us that they are hearing our voices in their heads, right? Thank you, Seana. You are right! What great mantras or skills to impart, Diane! One of my favorites from your list is, “Is this the best use of my time right now?” It kind of cuts to the chase and helps us to pause to reevaluate where we are. It prevents us from getting pulled toward a direction we don’t mean to go in. Thank you, Linda! I love teaching this to my clients and also use it often myself. I can get busy – the best use of my time, sometimes is to pause and reflect. Thank you very much for joining me here! That’s great, Helen! Recognizing when something is good enough is a powerful experience. Thank you for joining the conversation!